For curlies, hair shrinkage is a fact of life. It happens to most of us at some point and there are a few ways to deal with it. While you can just embrace it as a part of your natural hair journey and roll with it as it comes, there are a few tried and true methods that can put an end to shrinkage. Here are a few must-know tips on how to stop hair shrinkage. When you blow dry your hair at the roots, you are opening up the cuticle and letting the heat expand the cuticle. This will help with shrinkage by lifting up the roots, but make sure you don’t do it on high heat! Stick to medium heat to get anti-shrinkage powers without taking on frizz or damage to your hair. Banding is a great way to combat shrinkage. This method requires you to section off hair in hair ties to extend the length. While this method is effective, you want to avoid damage to your strands at all costs so only use this method occasionally. You also want to use hair ties that won’t tug or pull. Never use rubber bands for this! Here is a helpful video about banding. Pulling your curls up into a high bun while still slightly damp serves a few great purposes for a curly girl. It stretches hair to avoid shrinkage while giving you an easy way to air dry with little effort. Buns are also super easy and look cute on any texture! You want to make sure the bun is pulled tight enough to really give hair a good stretch. With rollers, you can get a heat-free way to dry and stretch your strands at the same time. Make sure whatever brand you use, it is gentle enough not to cause strands damage, but will still give you a good stretch. One of my personal favorites is Curlformers because they are easy to use, gentle on curls, and give a good stretch. They even have different sizes for different hair lengths! One of the best tips on how to stop hair shrinkage is to choose styles that will give you a little extra stretch as part of the look. With stretch styles, you get a beautiful style you can wear to protect your hair from damage and you get a way to stop the shrink. Talk about a win-win situation! Here are a few stretch styles. Shrinkage is a part of life, but you can choose to let it get in the way of your hair journey or fight back. 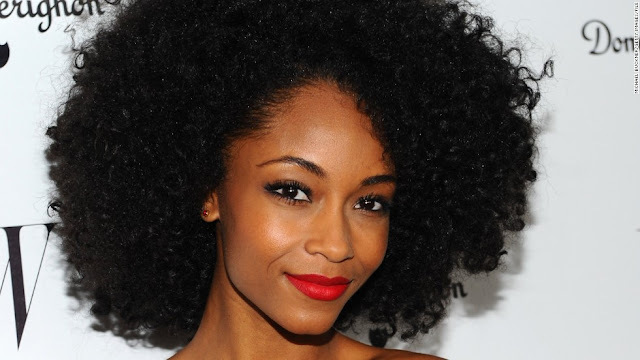 Make the most of your length with these tips to stop hair shrinkage! You can find additional tips here.